Ontario calls for Competitive Online Gambling Market with "Consumer Choice"
Ontario calls for competitive online gambling market. For decades now, Canadian iGaming laws have been classified in a “grey area” of the law, permeating within a shroud of uncertainty. The Criminal Code is written in such a way that gambling with offshore websites is not expressly legal or illegal, which, by technical standards, makes it ‘not illegal‘. Players can access international gambling sites all they want, and those websites can accept Canadian players without fear of recompense, so long as they have no physical operations on Canadian soil. That’s the way it’s been since the pre-millennial dawn of the iGaming industry. Some provinces have taken steps to regulate their own ring-fenced internet gambling markets, but it’s done little to stop their adult residents from betting with offshore casinos, poker rooms and sports betting websites. Now, Ontario is finally deciding to do something about it. Something constructive, as opposed to the destructive approach Quebec attempted a few years ago. Instead of trying to criminalize offshore gaming operators who accept Canadians – a flawed IP-blocking scheme that went terribly wrong for Quebec in 2016 – Ontario is looking to embrace the competitive nature of a global market. In a first for any Canadian province, Ontario’s government appears acquiesce to ending what some deem a “monopoly” on iGaming. Technically, it’s only a monopoly if there are no other options. The Ontario government estimates that its population wagers about $500 million gambling online every year. The vast majority of that figure is spent at international gambling websites that are not regulated in Ontario. 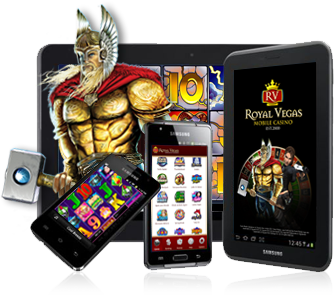 The only website that is regulated and authorized by the Ontario Lottery and Gaming Corp is PlayOLG.com. Having witnessed the miserably failed attempt of Quebec to block access to offshore gambling sites, Ontario knows there’s only one other route that will increase their revenue share from the market. As they say – If you can’t beat ’em, join em! By opening it doors to global market regulation, Ontario will be welcoming all of the top gaming websites that its residents are already utilizing to apply for a license; much the way the UK government opened its borders to outside operator licensing five years ago. The government collects initial revenue from application fees and licensing fees, then funnels steady money into its coffers by taxing each licensed operator’s Canadian-based revenue. It’s a win-win-win situation. The province wins more revenue. Players win heightened player protections at the websites they enjoy most. Offshore operators – although required to pay taxes they were never subject to prior – win the trust of Canadian players, while shedding the trepidation that their services might one day come under prohibition in the Great White North. Anyone anticipating a quick-fix to the problem may be sorely disappointed. According to some reports, a source said to be close to the situation is describing a scenario that could take as many as 5 years to put into action. This would put the timeline for deregulation somewhere around 2024 to 2025. One of the key components in the deal – and likely one of the major factors in the process taking up to half a decade to finalize – is the fact that Ontario fully intends single-event sports betting to be a part of the package. Ontario’s Finance Minister has already begun the push to convince the federal government to amend existing laws that allow for parlay-style sports wagering, but no straight-up or single-event betting. Broadening the sportsbook laws will not only give Ontario the option to offer much more appealing sports wagers to their adult population. It will also provide them a legal means to accept license applications from the countless international sportsbook operators that are currently serving the majority of Canada’s sports punters.